Over the past few months, the enthusiast market has experienced a dramatic shift, as Core 2 Duo has proved itself to be the fastest consumer processor currently available. The interesting part about this is that Core 2 Duo as the name implies is based off the Core Duo architecture, which is in turn based off of the Pentium M architecture. While Pentium M chips never did reach the high clock speeds Pentium 4 was known for, the processor was actually very powerful and could compete well in many applications, especially when paired with a more powerful desktop platform. The dual core Yonah/Core Duo was even more impressive (and expensive) in Mobile On Desktop platforms, with the architectural enhancements Intel made. Unfortunately, with the exception of a few other moderately interesting attempts, Pentium M and Core Duo were basically relegated to use inside laptops. In contrast, AMD's K8 architecture has done extremely well on the desktop during most of its life, and it is only recently that Intel has managed to regain the performance crown. Intel still continued to sell a large number of processors, in a large part due to brand recognition and large OEM connections, but the enthusiast market definitely found everything they wanted in the various AMD offerings, with one exception. Forgetting what might have been on the desktop space, Intel's mobile architecture and Centrino platform became the runaway favorites for anyone looking to purchase a new laptop, and with good reason. Sporting much lower power requirements than any previous mobile offering courtesy of the new architecture (or rather, a modification of the Pentium III architecture), Pentium M and Core Duo provided near-desktop levels of performance along with increased battery life. Athlon 64 offered better performance per watt than Pentium 4 ever since its introduction, which seems like it should have made for a great mobile platform. While AMD did produce chips for the mobile sector, in general they remained a distant second in terms of popularity compared to the Intel offerings. Part of this may have been due to the amazing success Intel experienced with their Centrino brand name, a brand name that could only be used for laptops that included an Intel Pentium M (and later Core Duo) processor, an Intel chipset, and an Intel wireless networking adapter. In this way, Intel managed to sell three chips for every Centrino laptop, and customers were guaranteed a minimum level of performance and features. Eventually AMD tried to compete better with the Centrino platform by creating a new mobile processor, the Turion. Turion was really nothing more than a renamed Athlon 64 socket 754 chip with lower power requirements, and while performance was still good the majority of laptop purchases continued to use Intel processors. In fact, performance wasn't merely good; due to the architectural design Banias/Dothan, there were quite a few areas where Turion was able to outperform Pentium M, and it was competitive in terms of performance per watt. Having a competitive processor isn't enough for a laptop solution, unfortunately, as laptops are purchased as an entire unit. 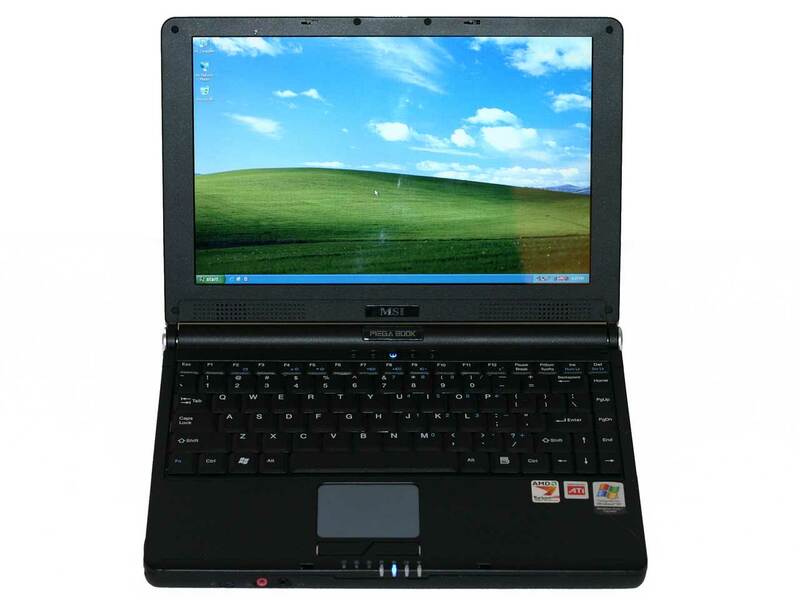 There were plenty of high-end Pentium M mobile offerings available, but most of the Turion designs were targeted more at the value sector, which means they often came equipped with less memory, lower end integrated graphics, slower/smaller hard drives, etc. in an attempt to keep costs down. Turion could hang with Pentium M, but once Intel launched the Core Duo offerings in early 2006 the single core Turion chips clearly became lower end options. Eventually, AMD would release dual core Turion X2 chips, hoping to once again become competitive with the Intel laptop designs. We managed to get our hands on an MSI S271 ultraportable laptop equipped with a Turion X2 several months back and planned on doing a head-to-head comparison against Intel's Core Duo. Unfortunately, various issues delayed our article and it is only now that we are finally able to present the results. Of course, Intel has now launched Core 2 Duo (Merom), raising the performance bar in the dual core mobile market. So what sort of problems did we encounter with the MSI laptop? Once they were resolved how does it perform? In short, does it compete well with Intel's offerings, and should you consider buying one? Let's take a closer look. You take one Acer Ferrari 5000 and a TravelMate 8210, and you benchmark them! These are both made by Acer and the battery and chassis are exactly the same and other features should also be the same.. Thanks... now just get Acer to send me both for review! Oh, wait... that's not as easy to accomplish, is it? I would love to review more laptops, with more variation among configurations. However, the simple fact of the matter is that we have to review what we are sent in most cases. I certainly don't make enough money to go out and buy laptops that I want to review, and a lot of companies don't necessarily want to have us do a head-to-head among their computing laptops. What happens if laptop X seriously trounces laptop Y and they both cost about the same amount? AMEN to that. I bet HP, MSI (or any other company that makes value notebooks) doesn't want to see a performance review between their $550 and $1000 notebooks whose only difference is +200Mhz CPU, +40GB HDD, +1GB RAM.... If the public saw the lack of perf. improvement for the money, they'd never buy the $1000 notebook. Too bad discrete graphics hasn't become standard on the mainstream midrange $1000 notebooks yet. That might actually would justify the price. I also found that this review was all over the place and really didn't do a good job of isolating the variables that led to various performance indicators. How do we quantify the value of the discrete GFX of the ASUS notebook? Certainly system perf. would be significantly improved just because we don't have UMA graphics hogging up the system memory bandwidth. I think the intel notebook should have featured UMA graphics for comparison. Honestly, I found this review pretty useless. Forgoing the fact that other sites have actually done comparisons of the 271 with its Core Duo couterpart (the S270, if I recall), it still doesn't offer much. Obviously an IGP solution will be much slower than a Geforce Go 7700. I think most people who are going to read and interpret your graphs know that. But why must everyone have a a GF7700? Integrated graphics at the level of the current ATI chipsets are a good step up from what the vast majority of Intel-powered laptops come with, which is Intel's GMA junk. The article constantly refers to the ATI IGP as a huge drawback to the machine, implying that the competition has something better. Which other 12" portable has discrete graphics, besides the (heavier, not quite ultraportable) Dell XPS M1210? In fact, I'd argue the widespread use of ATI IGPs is a strength of the AMD platform - the Radeon Xpress chips are far better for everyday usage (from multimedia playback to general performance) than the Intel GMA950 chips. And unlike the GMA chips, R-X200/1150 will run Win Vista's Aero Glass interface and most modern 3D apps very comfortably. The other problem, related to the point on IGPs, is the focus on gaming. Who plays 3D games on a 12", <5 lbs. laptop? Aren't things like battery life and heat output far more important in this setting than how many FPS it can get in Half-Life 2? Why is there any stress at all on gaming? The almost nonexistent ultraportable gaming market is clearly not the target audience for this machine. The review even goes to the point of suggesting that mid-level discrete graphics chips like the ATI Mobility Radeon X1400 are inadequate. Something like an X1400 is more than adequate for the vast majority of users. It will run every common 3D function (like Aero Glass) and will even run relatively recent 3D games decently. Ever hear of battery life? Not everyone needs to get 60 FPS while playing Half-Life 2 on their miniscule screen in the train. Exactly. Then who cares whether you have a slow integrated card or a SLOWER one. The point of most IGP reviews are to see whether any people who plays latest 3D games will bother with the IGP for their 3D games. Integrated graphics at the level of the current ATI chipsets are a good step up from what the vast majority of Intel-powered laptops come with, which is Intel's GMA junk. 0.1 to 0.2. Nobody will care. And unlike the GMA chips, R-X200/1150 will run Win Vista's Aero Glass interface and most modern 3D apps very comfortably. There are no direct comparisons of GMA and R1150 testings on Win Vista's Aero Glass. They are both certified, so they can both run it that's for sure. Intel also has unified drivers and updated drivers for their IGP. 845G to G965. Of course the drivers aren't up to par as ATI based ones, but considering ATI's specialty, its expected. and gets far better battery life than versions with more powerful GPUs (NV 7900GS, GTX, etc.). I'd say then having GMA950 will be more important for battery life than R1150 then. Because R1150 is more fully featured, and will waste unnecessary battery life. Final point is: the review isn't perfect, but there aren't many better Turion X2 laptops either. Anandtech happened to review the ones they got in hand. That's the problem with laptop reviews, it isn't as vast as the desktop ones, but that's little out of scope. Simply put, if you want to run any games other than solitaire, minesweeper, or other casual gaming titles, you will quickly find the included graphics to be unsatisfactory. We don't really find that to be a terrible flaw, as for business and office tasks even slow integrated graphics work fine, and you will still be able to run the Windows Vista Aero Glass interface (although performance will likely suffer compared to discrete graphics solutions). Basically, the system provides the bare minimum of 3D graphics support that we would recommend these days and not much else. A lot of people don't need 3D graphics, so that's okay, but there are certainly other options available that include better graphics for a small increase in price. Unlike desktop systems, there's no way to add better graphics to many laptop computers, so just make sure you are absolutely certain you will never need 3D graphics performance (Windows Vista) before you purchase a new laptop that only includes an anemic IGP solution. If you're okay with avoiding 3D applications and sticking with Windows XP rather than upgrading to Windows Vista, then the MSI S271 should suffice. Then again, if you're okay with those limitations, just about any laptop is likely to "suffice". The point of the article isn't comparing IGP performance; we took exactly one page to clearly show that IGP is inadequate for gaming, and if you don't play games it largely won't matter. A "focus on gaming" would be more what we had in the http://www.anandtech.com/mobile/showdoc.aspx?i=274...">XPS M1710 review, where we did spend a lot of time on that subject as anyone buying a $3500 notebook with high-end graphics will probably want to make use of them! Oh yeah, I also talked about the advantages of an http://www.anandtech.com/mobile/showdoc.aspx?i=276...">E1705 with X1400 in another article. I would really like to see a Linux test using 64bit distribution and a 32bit distribution on the same machine and then compare it to an Intel machine, which if I'm correct still doesn't support x86_64 instructions on its portable line of cpus. Seeing the results of the 64 vs 32 bit Linux tests already published here on Anandtech it would make for interesting reading, especially as IMHO this machine has a strong appeal for Linux users who can take advantage of its full potential. Personally I own a MSI M635 (turion mt34 atix700) which I'm very happy with.